This flagship comes with a Qualcomm Snapdragon 653 processor, 6 GB RAM, 64 GB internal storage, a 13 MP + 13 MP dual setup on the back, and runs Android Nougat out of the box. It will hit India exclusively via Amazon for about US$235. 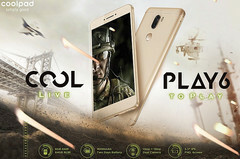 Coolpad is a Chinese underdog that has just announced the launch of a new powerful mid-range handset for buyers on a budget that would also like to get some software support after the purchase. 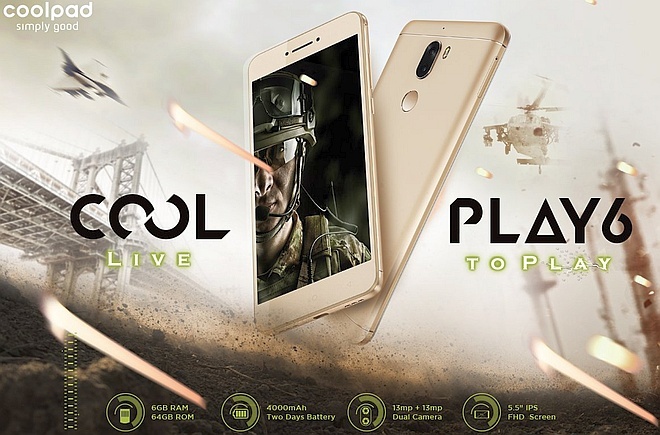 In a first such move for them, Coolpad has unveiled that the Cool Play 6 would get Android O by the end of the year. This handset is scheduled to become available for purchase exclusively via Amazon.in starting on September 4. The price would be INR₹14,999, which is currently around US$234.